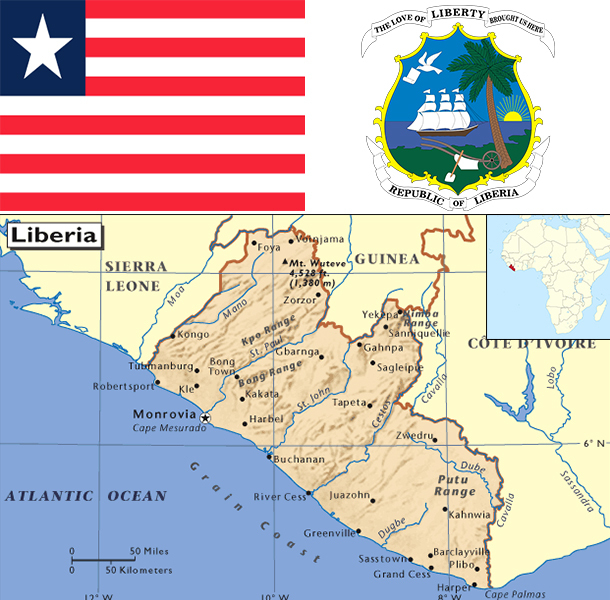 Settlement of freed slaves from the US in what is today Liberia began in 1822; by 1847, the Americo-Liberians were able to establish a republic. William TUBMAN, president from 1944-71, did much to promote foreign investment and to bridge the economic, social, and political gaps between the descendants of the original settlers and the inhabitants of the interior. In 1980, a military coup led by Samuel DOE ushered in a decade of authoritarian rule. In December 1989, Charles TAYLOR launched a rebellion against DOE's regime that led to a prolonged civil war in which DOE was killed. A period of relative peace in 1997 allowed for an election that brought TAYLOR to power, but major fighting resumed in 2000. An August 2003 peace agreement ended the war and prompted the resignation of former president Charles TAYLOR, who was convicted by the UN-backed Special Court for Sierra Leone in The Hague for his involvement in Sierra Leone's civil war. After two years of rule by a transitional government, democratic elections in late 2005 brought President Ellen JOHNSON SIRLEAF to power. She subsequently won reelection in 2011 and remains challenged to rebuild Liberia's economy, particularly following the 2014-15 Ebola epidemic, and to reconcile a nation still recovering from 14 years of fighting. The UN Security Council in September 2012 passed Resolution 2066 which calls for a halving of UN troops in Liberia by 2015, reducing the troop level to fewer than 4,000, and challenging Liberia's security sector to fill the gaps. Liberia is a low income country that relies heavily on foreign assistance. It is richly endowed with water, mineral resources, forests, and a climate favorable to agriculture. Its principal exports are iron ore, rubber, gold and timber. The Government has attempted to revive raw timber extraction and is encouraging oil exploration. In the 1990s and early 2000s, civil war and government mismanagement destroyed much of Liberia's economy, especially infrastructure in and around the capital. With the conclusion of fighting and the installation of a democratically elected government in 2006, businesses that had fled the country began to return. The country achieved high growth during 2010-13 due to favorable world prices for its commodities. However, in 2014 as the Ebolavirus began to spread, the economy declined and many businesses departed, taking capital and expertise with them. The epidemic forced the government to divert scarce resources to combat the spread of the virus, reducing funds available for needed public investment. Revitalizing the economy in the future will depend on increasing investment and trade, higher global commodity prices, sustained foreign aid and remittances, development of infrastructure and institutions, and maintaining political stability and security. The cost of addressing the Ebola epidemic will weigh heavily on public finances at the same time decreased economic activity reduces government revenue, although higher donor support will partly offset this loss.